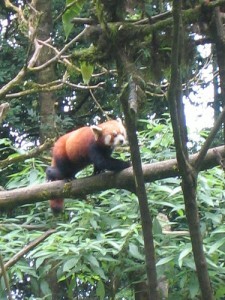 Fambong La Wildlife Sanctuary is located at distance of 25 km from Gangtok and has an area pf 51.76 Sq km. 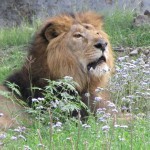 The main vegetation is Oak, Katus, Kimbu, and Champa with thick bamboo forests and ferns. The Sanctuary is also home to a large number of wild orchids, rhododendrons etc. The richly Forestdale is known to be home for various species of wild animals and birds. 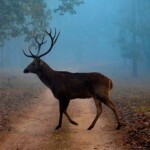 This area, located close to Gangtok, is being developed as a short duration trekking trial. The best season is October and April. A Log House with two rooms is available at Golitar and Tumin. Charges are Rs. 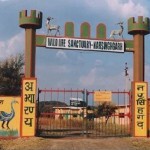 50/- per person per night and entry fee to the Sanctuary is Rs. 5/- per head. Apart from this Sanctuary there are others like Kyongnosla Alpine Sanctuary, Shingbha Rhododendrons Sanctuary. Menam Wildlife Sanctuary, and Khangchendzonga National Park, for permission please contact Chief Wild Life Warden (Wild Life), Forest Secretariat, Deorali. Gangtok. 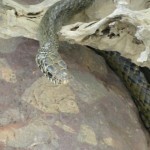 This entry was posted in Fambog La Wildlife Sanctuary, Sikkim and tagged Wildlife. Bookmark the permalink.